04.14.19…..Happy Sunday, everyone! It’s was such a gorgeous Spring day today….for a couple of precious hours. Now…..the rain clouds are moving in, so I figured it’s another good day to stay inside, and do some crafting and creating. That being said, I wanted to take the time to share this “shabby chic-inspired” card with you this morning. The Tin Tile Embossing Folder made its debut in the 2018 Stampin’ Up Holiday catalog, and I used to for quite a few projects back then. So…..I thought I pull it out once again to create a background for this card. Luckily, this embossing folder is a carry-over item. If you don’t have it yet, I know you’ll want to order it as soon as possible! 03.31.19…..Happy Sunday, stampers! I can believe that tomorrow is April 1st, and….today is the last day for the Stampin’ Up Sale-A-Bration! That being said, I thought I would create one last card with the Butterfly Elements. 03.24.19…..Happy Sunday everyone! We’ve still been having some lingering winter weather this past week, but today we had another wonderful Spring day! Once again, this beautiful weather has inspired me to create a Spring-themed card. And…..what a better way to gather some extra inspiration than from this week’s Global Design Project – Color Challenge (#GDP181). This week’s color trio was Grapefruit Grove, Lemon Lime Twist, and Daffodil Delight. Such a bright, cheery combo……love, love, love!!! 03.17.19…..Today is a gorgeous, “almost-Spring” day where I live….high 60’s, clear skies, and sunshine! It doesn’t get much better than that! That being said, it put me in the mood to create some Spring cards, so I decided to pull out my Varied Vases stamp set. I also paired it with some of the Twinkle Twinkle Designer Series Paper, to pull in some of those soft pastel shades. 03.03.18….. It’s hard to believe it’s March already! However, there are still a few more weeks to take advantage of the Stampin’ Up Sale-A-Bration! That being said, I decided to create this card for this week’s Global Design Project (#GDP178) using the All Adorned stamp set, which is one of the wonderful products that you can earn for FREE (when you a $50+ order in Stampin’ Up merchandise). Update (02.25.19)…..This morning, I was excited to find out that my rooster card was one of the winners for this week’s Global Design Project #177 (#GDPwinner). 02.23.19…..I’ve been so busy lately, creating projects with all of the wonderful Sale-A-Bration products! I had to remind myself that the Occasions Catalog is just bursting with some amazing products, too! That being said, I decided to pull out my Needle & Thread Bundle (from the Occasions Catalog) to create this card. Winter is still in full-gear here in Northern California (…..which I’m loving! ), but I was really in the mood to create some Spring-themed cards today! 02.17.19…..I had such a good time creating my Three Little Roosters card yesterday, with its whimsical, unexpected colors! So…..this time, I gave this one little rooster a fun color combo as well! If you don’t have this Home to Roost stamp set, I know you’ll want to get your hands on it as soon as possible. Best of all, you can earn this set for FREE during the Stampin’ Up Sale-A-Bration promotion….. 02/16/19…..Happy Saturday, everyone! It’s another cold, winter day here in Northern California, and our weather has come in “3’s” today…..snow, sleet, and hail! So, I figured why not create a card that comes in “3’s”…..three roosters to be exact! This whimsical, barnyard card was created with the Home to Roost stamp set, which is one of the items you can earn for FREE during Sale-A-Bration! Welcome to Wednesday everyone! It took me a minute to start creating projects with the new Hello Cupcake Sale-A-Bration set. However, once I started using it, I can’t seem to stop! The cupcake itself is super fun, and the sentiments are just the cutest ever! 02.12.19…..Good afternoon, my Stampin’ friends! Birthdays seem to have way of popping up all year ’round. (My good friend actually has a birthday today….so this one’s for you, Jeanne! ) Anyway….it’s always nice to have some extra birthday cards on hand. Using the new Sale-A-Bration Hello Cupcake stamp set, is a great set for creating your own little “back stock” of birthday cards. 02/11/19…..Good afternoon, stampers! I’m having so much fun with new Home to Roost Sale-A-Bration set, so I thought I’d go ahead and post one more card this afternoon. Stay tuned for a few more Home to Roost cards this week. Hope you enjoy them! 02.11.19…..I can’t believe that it’s Monday already! February is already flying by, and I can’t believe that it’s almost Valentine’s Day! That being said, I thought I would post one more card to celebrate this “love-ly” holiday! 12.19.18…. Happy Wednesday, my Stampin’ friends! As I mentioned in yesterday’s post, I’m using the last week before Christmas to share just a few more cards. That being said, I created another card with the Winter Woods Bundle. I love the versatility of this bundle! I’m also super excited that the Winter Woods stamp set and coordinating In the Woods Framelits set will be carried over AFTER the 2018 Holiday catalog comes to an end on January 2, 2019. (FYI: After January 2nd, both products will be sold separately, and not as a bundle.) So…..if you happen to miss out on these fabulous products, you’ll still have an opportunity to order them after the holidays are over. 12.18.18….. I don’t know about y’all, but I just love the Hearts Come Home stamp set. It is the sweetest little set (with its tiny houses and trees), and it just really evokes cozy, holiday memories for me. By the way, this set is in the 2018-2019 Annual Catalog, so it will still be available after the holidays. Yay! 11.25.18 …..I hope all of you survived Thanksgiving weekend, and were also able to enjoy some time with friends and family. Once I finally had some free time this weekend, I couldn’t wait to start creating some holiday cards and projects. One of my favorite bundles from of the Stampin’ Up Holiday Catalog is Winter Woods (Winter Woods stamp set + In the Woods Framelits). It’s really versatile and can be used for everyday projects as well. If you don’t have this bundles already, it is defintely one you don’t want to miss out on! 11.11.18…..Even though the hectic holiday season is upon us, it’s still a nice time to let a friend know that you’re thinking of them. I did use some shades of Autumn on this card, but of course you can change it up by using a different color combo and/or a different sentiment. 11.03.18…..Ok my stamping friends, I realize it’s already November, and the Christmas season is upon us (…especially if you been to your local mall lately). However, I’m still trying to soak in those last few of weeks of Fall, and remembering that we still have Thanksgiving to celebrate and to appreciate all of the many blessings I have. So…I just had to make another card with the Country Lane Designer Series Paper. And, yes…if you haven’t noticed, I’m obsessed with it! The color combinations are absolutely gorgeous….from Blackberry Bliss and Crushed Curry, to Mint Macaron and Early Espresso, and even Pumpkin Pie and Old Olive. I love them all! 11.03.18…..The title of this blog post should really be “enjoy the seasons” (…instead of “season”). I know many people have a favorite season, but I just really do love both the Fall and Winter seasons equally! That being said, I wrapped both seasons up in this one little card, and used a mix of seasonal products. The Country Lane Designer Series Paper has an Autumn Harvest feel, while the Winter Woods Bundle obviously has a Winter theme. 10.27.18…..OK, I realize that Halloween is just four days away. However…..I couldn’t resist squeezing in more Halloween project! I’ve had a ton of fun using the Spooky Treats Bundle. The Spooky Treats stamp set has so many versatile elements, and the Spooky Bats punch coordinates just perfectly with the bats stamp! 10.10.18….. I just love all of the fun Halloween decor (…jack-o-lanterns, spider webs, scarecrows, etc.) this time of year! O.K., let’s be honest….it’s the sweet treats that I really love the most! I always enjoy giving out sweet treats to my friends and co-workers as well, and this adorable little takeout box is just perfect for that. I diecut the box, using the Takeout Thinlits Dies, which is part of the Takeout Treats Bundle. If you don’t already have it, you’ll want to order this super versatile bundle….and save 10% too! 09.09.2018….. This weekend just about slipped away from me! I can’t believe it’s already Sunday afternoon, and I wanted to make sure that I shared this card with you before the weekend was completely over. I truly love every color that Stampin’ Up! has to offer, but I’m especially fond of the Subtles color collection. The soothing, pastel shades really speak to me! 08.26.18….. OK, let’s just get right to it, my stamping friends! I know what your thinking. Thanksgiving is still three months away, and she’s already posting a seasonal card! 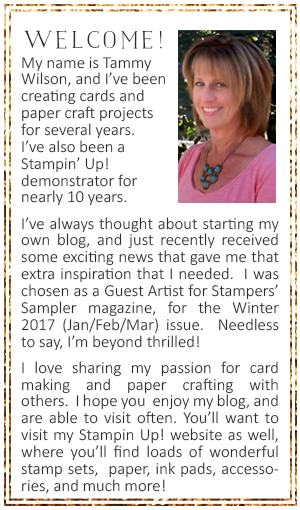 I can explain…..
As a SU demonstrator, I was able to pre-order from the new Stampin’ Up! 2018 Holiday Catalog. (Customer orders can be placed between September 5 – January 2, 2018.) This new catalog is chockful of so many amazing products! That being said, I pre-ordered several items from the Country Lane Suite, which has a country/harvest theme, and I just couldn’t wait to get going on some new Fall projects. I also couldn’t wait to create a card for the latest Global Design Project (#GDP152 – CASE the Designer), so I decided to incorporate that into my card design as well. 08.18.18….. Welcome to the weekend, my stampin’ friends! I had planned to make this card last month, around the Fourth of July, but I got busy working on other projects and just never got around it. Better late than never, right? While I used a patriotic color combo on this card, it’s a unique birthday card for any time of year! 08.10.18….. Friday is finally here, and you know what that means? Ok…..well, the weekend is almost here, and…..this is my last “Nature Week” card! Thanks so much for indulging me in my obsession with the Nature’s Poem Designer Series Paper. It’s such a wonderful collection, and the possibilities are endless when using this paper to create your projects! 08.09.18….. Happy Thursday, y’all! Boy, this week has sure flown by! I hope you are enjoying the cards that I’ve been posting during “Nature Week“, and are hopefully getting a bit of inspiration as well. The gorgeous colors and beautiful patterns that are found in Nature’s Poem Designer Series Paper make it easy to get those creative juices flowing! 08.08.18…..Welcome to Wednesday, stampers! And…welcome to Day 3 of “Nature Week“! Fall is just around the corner, and I know you’ll enjoy creating your seasonal projects with the Nature’s Poem Designer Series Paper just as much as I do! 08.07.18….. Happy Tuesday, stampers! As promised, I’m posting my second card for “Nature Week“, using the Nature’s Poem Designer Series Paper. Hope it inspires you today! 08.06.18…..Even though it’s still the middle of summer (at least in Northern California), I’m really looking forward to Fall. Not only because the temperatures will be cooler (…yay!!! ), but I just love all of the beautiful Autumn colors that nature gives us during that wonderful time of year! That being said, I went a little crazy, and created several cards using the Nature’s Poem Designer Series Paper. Since I couldn’t decide which card to post, I decided to post them all in a series that I’m calling “Nature Week”. Yes, my stamping friends… because I’ve become obsessed with this gorgeous paper, I will be posting a new card each weekday this week (Monday – Friday). I hope you enjoy them! 08.04.18…..Although I’ve never actually been to a garden party, I’ve always thought it would be such a beautiful way to spend an afternoon! When I hear the phrase “garden party”, I think of roses, bouquets, and everything pink…..and that, my friends, was the inspiration for this card. Once I had my inspiration, I immediately knew that I had to use the “oh-so-colorful” Garden Impressions Designer Series Paper. 07.24.18… It’s been awhile since I’ve used my Nature’s Poem Designer Series Paper, so today I decided to jump right back into this beautiful collection of paper and start creating! From Blackberry Bliss and Grapefruit Grove…..to Soft Suede and Cajun Craze…..to Mint Macaron and Tranquil Tide….the color combos in this paper pack are absolutely gorgeous! If you don’t have this paper yet, you’ll want to add it to your wish list! By the way….don’t miss out on the “Buy 3, Get 1 Free” promotion (on Select Designer Series Paper), which ends on July 31st! And, yes….the Nature’s Poem Designer Series Paper is included in that promotion. Yay!!! I love mixing vintage with trendy, or modern, or florals, or…..with whatever inspires me at the time. The P.S. I Love You stamp set has that fun little mix…..all in one box. The focal point of the set is the vintage typewriter. But wait…this stamp set also includes some trendy little sentiment stamps, a modern “grunge” stamp, and some super cute floral stamps. I like to call it “modern vintage”. Even better…..all of these stamps are great to use individually, with or without the typewriter. Versatility at it’s best! 07.15.18… Yes, my stampin’ friends, summer is in full swing here in Northern California. Temperatures are now between 95º to over 100º on a daily basis…with no end currently in sight. Hmmm…a cabana on a tropical island (…and one of those fancy drinks with a little umbrella) sounds absolutely wonderful right about now! So there you go folks….. those bright, vivid, tropical colors were my inspiration for this card! 07.04.18… I’m so excited about the Stampin’ Up 2018 Color Revamp! I’m having so much fun with the all of the new colors…..and many of my old favs that have returned, too! While I have to say that I’m naturally drawn to the Subtles Collection, I do like to mix Subtles with Brights, or Regals with Neutrals, or….y’all get the idea. That being said, today I was actually in the mood to mix things up. Petal Pink is one of my new favs in the Subtles collection, and Coastal Cabana has returned (…super excited about that! ), and been added to the Brights Collection. Even though this card has a bit of a vintage feel, using both of these colors together adds a summery/beachy appeal as well. Be sure to take advantage of these specials… before they end on July 31, 2018! and receive a FREE ink pad assortment (retail value $67.50)!!! The new 2018-2019 Stampin’ Up Annual Catalog of chockful of so many wonderful products! Okay, let’s be honest….it’s absolutely overflowing with some of the most amazing products ever! Watch the video below and get your creative juices flowing! 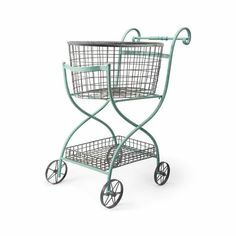 Click on the catalog below to place an order today! 07.07.18… It’s a really warm day here today…about 97 degrees or so. Although I’m really grateful that it’s been a fairly mild summer so far, when it gets close to 100 degrees, it’s just plain hot! And…I don’t know about y’all, but when the hot weather hits, I like to make meals that are simple, quick and easy. Actually, a fresh Greek Salad and a couple of slices of chilled watermelon sound just perfect right about now! Ok…and maybe a little fro-yo for dessert! 06.30.2018… Ok, can we just seriously talk about “elements” for a minute? Whether you actually like to call them “elements”, or accessories, or a even a gathering of various materials & supplies….. “elements” are one of the things that the 2018-2019 Stampin’ Up Annual Catalog is chockful of! This, of course, is one of the reasons that I’m forever addicted to Stampin’ Up products. Whether it be trendy, traditional, romantic, whimsical, or vintage…..the variety of styles and product choices is amazing! 06.26.18… I am a lover (…bordering on obsession) of paper crafting accessories and gadgets, especially Stampin’ Up! accessories and gadgets! The brand new 2018-2019 Stampin’ Up! Annual Catalog is chockful of so many wonderful stamp sets and ink pads, and the accessories and gadgets just can’t be beat. From the new Designer Series Paper, ribbon, and sequins…to the new Framelits and the Textured Impressions Embossing Folders…this catalog has it all! So on this card, I just couldn’t help myself and I incorporated lots of those amazing new products. into my design. 06.10.18… It’s such a beautiful day outside today…only 75 degrees. I know that summer is going to be here any day now (with temperatures climbing over 100º ), so I’m really grateful for this gorgeous weather!